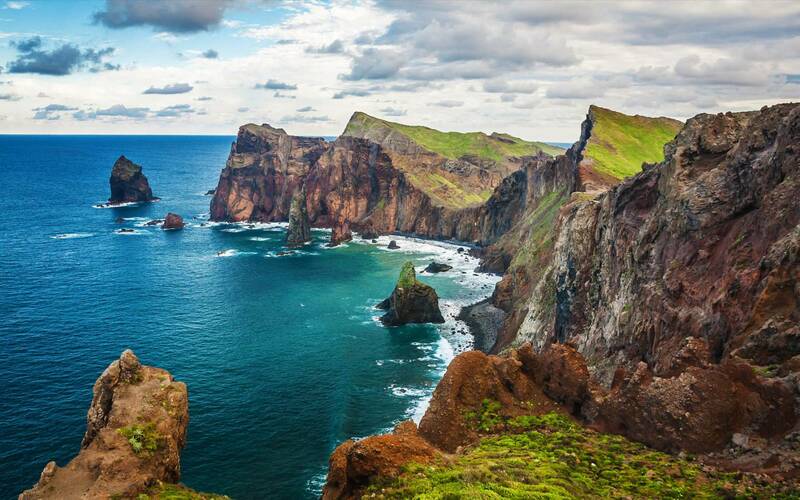 The Madeira Island from Portugal is simply the best island in Europe. Check out our list of what to do in Madeira Island and be amazed by the natural beauty. Located in the East Coast, the Ponta de São Lourenço is a breathtaking peninsula that consists mainly on lava rocks. In this part of the island the climate is so arid, because of the volcanic soil and strong winds, that no tree can grow. It is one of the most beautiful spots in the Madeira Island and deserve a longer look. Most tourists in the area go for hiking trails, and is our suggestion that you do. Is not very hard and yields great pictures. Share them with us when you do it! Europe’s highest cliff has now its own skywalk. 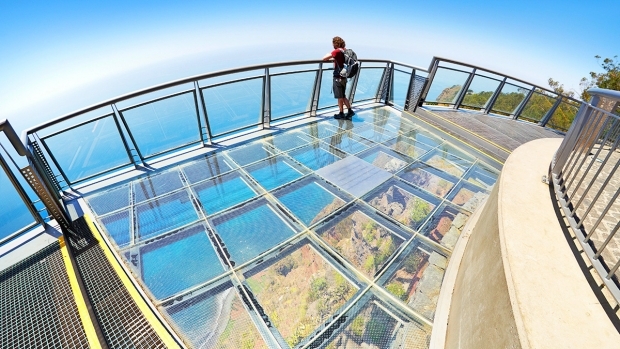 For all those who have enough bravery, you can walk on a glass floor skywalk in Cabo Girão and look down 500 meters to the Atlantic ocean, all very safe. Although it can cause vertigo, the skywalk is one of the main attractions of the Madeira Island and there are souvenir shops and cafés nearby. Do you dare? 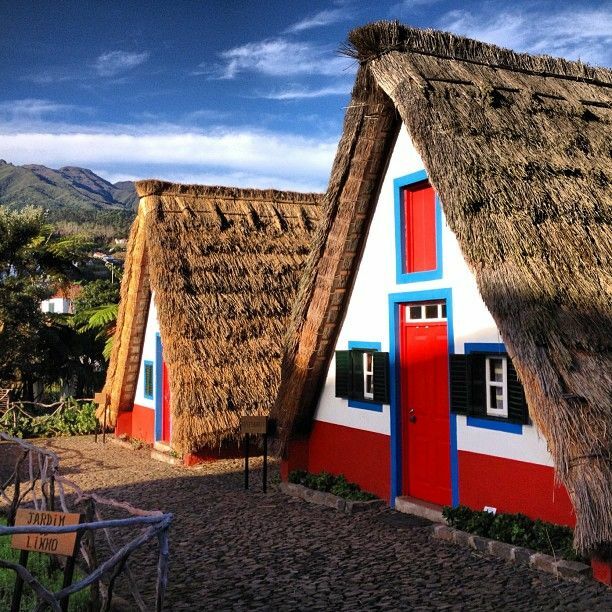 This charming triangular houses are some of the most traditional buildings in the Madeira Island. Until today some people still live in houses like that, which caught the attention of visitors. Santana is located in the north side of the island and close to Funchal, the capital. You can book a tour and explore this area, levadas, parks, with locals. 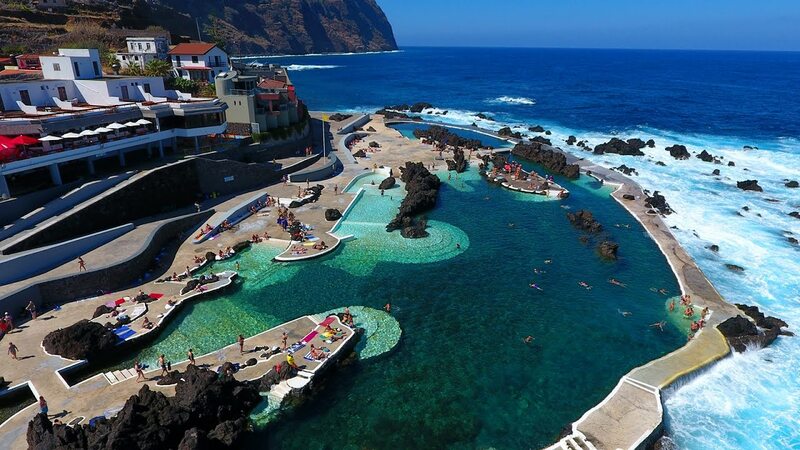 One of the best attractions in the Madeira Island are the natural pools in Porto Moniz. Even though it may get crowded during hot seasons, swimming in this warm salty pool is quite relaxing. The sea water comes inside the pool along with the tide, and you can enjoy the sun and the view, among volcanic rocks. Not mentioning the amount of amazing pictures you can get. What are you waiting for? Nuns’ Valley, (Curral das Freiras), is a very isolated small but pretty village, hidden among the mountains in the heart of the Madeira island. It’s said that it’s called like that because in the 16th century the nuns from the Santa Clara convent, to run from pirates that attacked Funchal, went to this place and hid for a while. Nowadays you can visit the village and have a tour, while taste local liquors and sweets. Eira do Serrado has the best viewpoint to see the village, beautiful! Primary a property from a rich family, the Botanic Garden of Madeira Island is located in a high area of the capital Funchal. It contains about 2500 species of indian plants and many exotic birds. 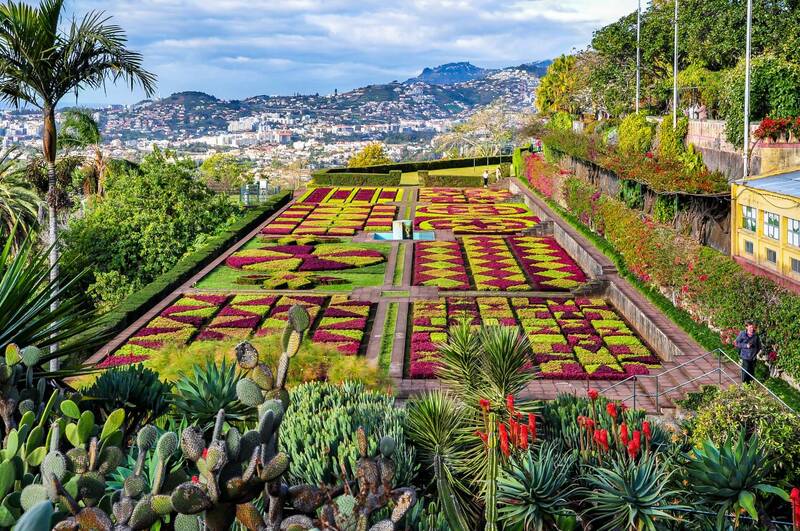 Due to its location, the garden is a great place to see Funchal from, becoming one of the most searched viewpoints of the city. You can book a tour that will guide you through Funchal and the Botanic Garden for an afternoon. 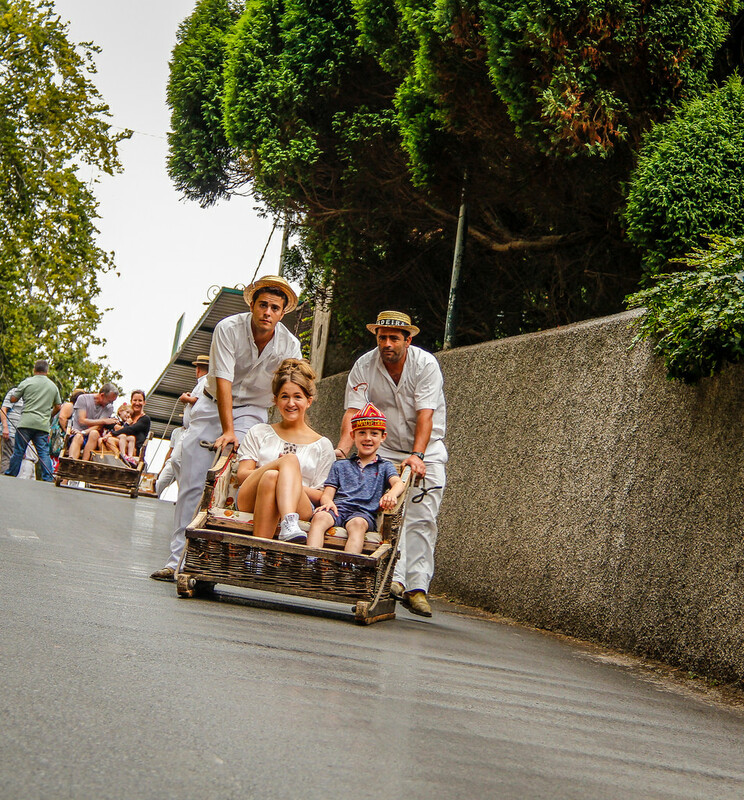 Fun and different, the Madeira Island offers the one and only toboggan slide from Monte to Funchal. A not so threatening experience, since the speed is close to 40km/h, used to be a real means of transport in the old days and lasts about 10 minutes. Two man dressed in white wearing straw hats guide the little car across the streets! The tradition stood because the tourists loved it, for no one can resist a good toboggan. The second and third highest pics in Madeira Island, Pico Ruivo and Pico do Arieiro, share an exciting hiking trail, where you can see the whole island and go up and down surrounded by a mystic fog. 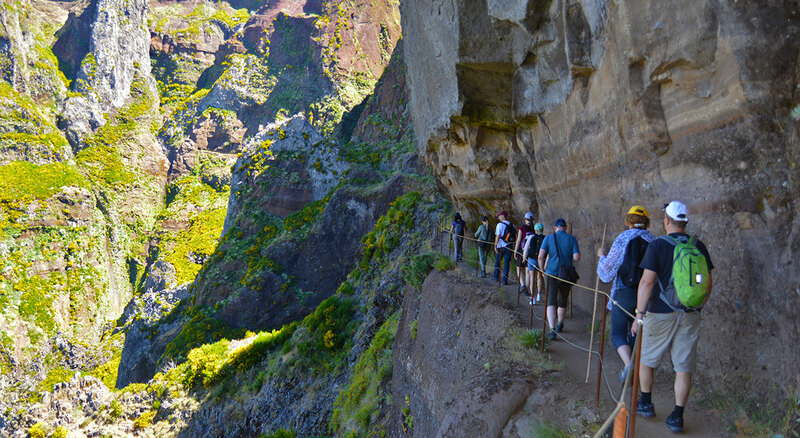 You can book a tour to go hiking with a good guide and a fun group, then see Madeira from an incredible angle. 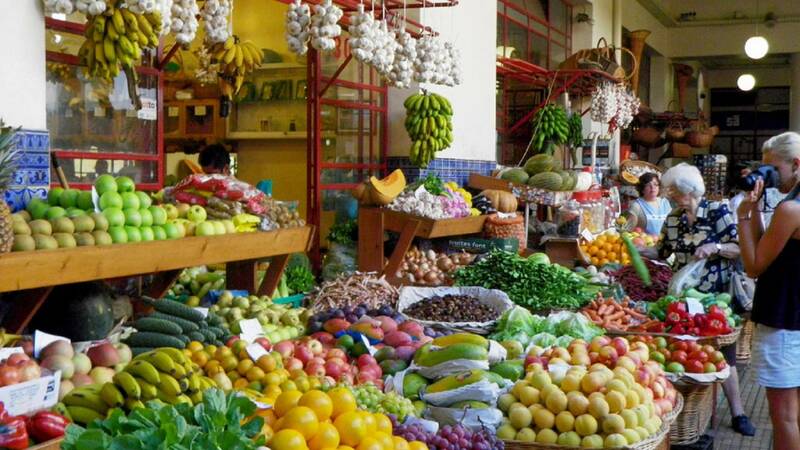 The Peasants’ Market (Mercado dos Lavradores) is a top place to visit in Funchal. It offers fresh fish, lots of exotic and tropical fruits and grains in a traditional site, the best to avoid expensive restaurants. To visit the center of Funchal, you can book a Tuk Tuk here, for sure it would be a fun time. Waterfalls made by men, the Levadas are water courses that the locals built to bring water from north to south of the island, in tunels and slopes, and turned out to become a highlight of the island’s tourism. 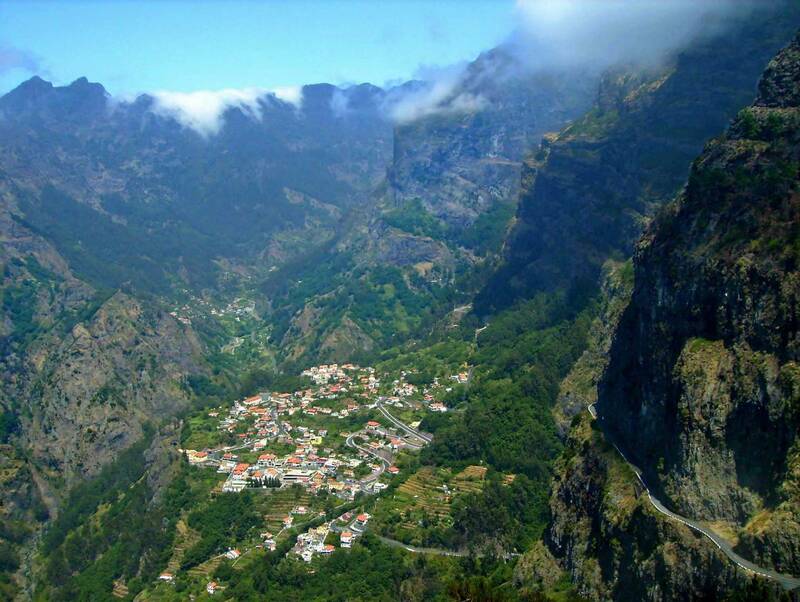 Madeira Island has about 200 levadas, which are better seen in hiking trails. 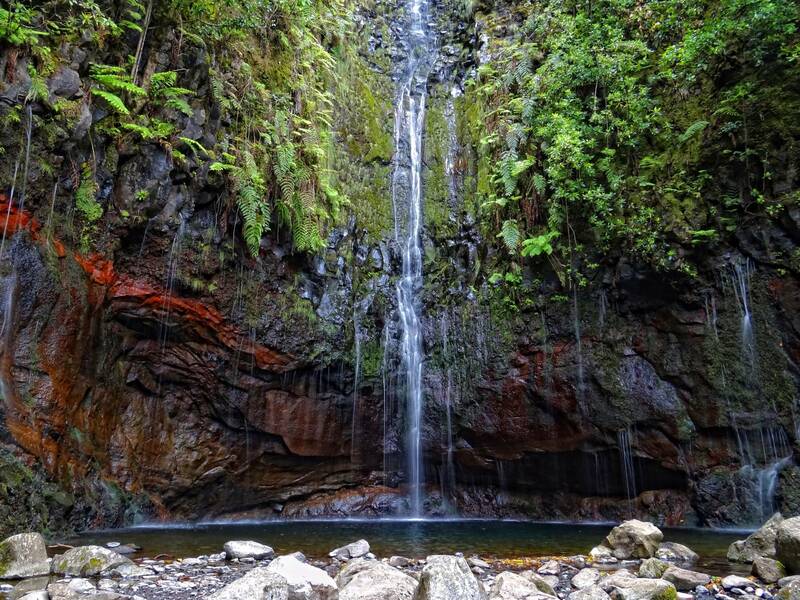 The most famous and beautiful ones are 25 Fontes, Caldeirão Verde and Caldeirão do Inferno. Since most of the trails make you walk cross the Larissilva forest it is recommended that you go with a guided tour. 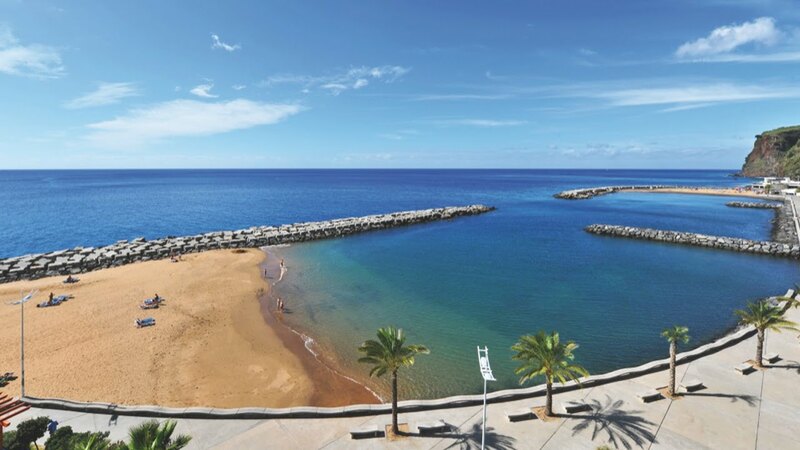 With a wide variety of restaurants and photogenic settings, the Machico beach and the Calheta beach are perhaps your best options for a day at the beach. In the past the Machico bay was protected by a fort, and is the spot where the island’s Portuguese founders first landed. Fun fact, the sand of these beaches, unlike the natural beaches of the island, was imported from Morocco. To find dark natural sand beaches in Madeira Island you should visit Prainha beach or Formosa beach. One of the greatest attractions in the south coast of the Madeira Island is the dolphin watching. 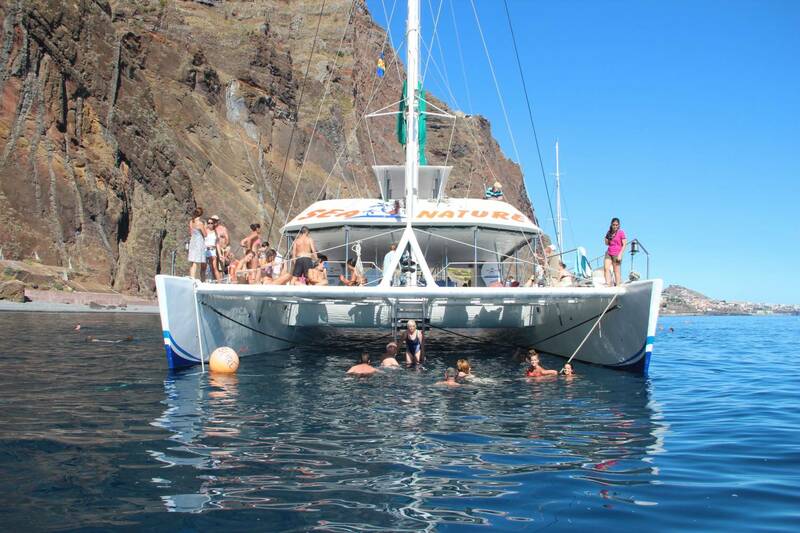 Many catamarans are available for exciting tours, when you can see a whale or dolphin and swim in the Atlantic ocean for a bit. Speaking of which, there are also plenty water activities in this region, like SUP and surfing lessons. Check out all our tours in Madeira Island and have a great trip! funchalmadeira island Post written by Letícia Melo.